An entertaining match against Barnestoneworrth today finishing 2-2. A good result which means these two teams have played three times this year and to end up 1 win, 1 loss and 1 draw for each team, Makes it interesting for next season if we meet again. Joeys defending was good today and the girls did all the things we have been practicing at training, so well done everyone. The goals we conceded were due to our set up on our own goal kick (esp against the wind) and from not noticing one of their players sneaking into a very advanced (offside) position and leaving her free. These are both things we can easily fix. Our attacking play and passing today was very good and we could quite easily have scored more goals. Again, well done girls for showing such composure and maturity on the pitch. Another wonderful display of team based soccer today girls. The decision to run with the wind in the first half enabled us to get our momentum going from the start. Westage had no subs and so they were always going to find it pretty tough kicking into the strong winds. We showed our opposition team Westgate today how to build up our attacking play and I was really impressed that you even passed behind sometimes today as that was our best option. It really shows you are running into space and also calling out for the pass.The goal box got very crowded for much of the half and after they changed their really excellent goalie we finally scored three quick goals. The last of these was close to goal of the year so far as it built up from the left back with as many as 6 of of players getting a touch before Rozie slotted it into the back of the net. Excellent effort girls. With two full rounds to go together with a weekend of a few catch up games we are in a unassailable position on top the ladder. Credit must go out to the full complement, to the entire team. Not only the team players but the parents that come out and support their daughters development. We play in a team sport so everyone gets to celebrate the wins and everyone gets to commiserate in the lows. Congratulations to all. No matter what happens from now on this year has been a fantastic success. Even though I do not place too much importance in winning with my main priority being that the team develops and improves week in week out I personally was a nervous wreck watching the girls this weekend. With success so close I really wanted the girls to finish what they worked so hard all year to achieve. And to their credit they did. Well done girls. I am proud of you all. It was great that we bounced back after last weekends disappointment. Now back to the game, We played a much improved Brunswick Zebras team, they defended strongly for the entire game and did not give us much room to create many chances. In the first half we kicked against a very strong breeze and were pinned in the midfield and defensive areas for the majority of the half. We broke forward a number of times in the first half but found it difficult to get past their last line of defenders. Over the last four weeks all the teams we encountered have been instructed to boot the ball out of their defensive lines. It is a very difficult tactic to get around. My preference is that the girls take a touch (when not under pressure) and play the ball out of defence. Many of our attacks start from passing out of the backline. In the first half the defensive lines with the support of the midfield did what they were required to and stop any attacks. In the second half the game changed in our favour, With the winds at our backs we began to take control and played the game on our terms. The girls had Brunswick pinned in their defensive third with Holly sitting back in midfield and collecting every ball that came out of defence. Holly had a fantastic game controlling the midfield and ensuring that the opposition was constantly under pressure. This pressure eventually paid off with Del our ever reliable goal scorer doing what she does so consistently. From one of their goal kicks she expectedly intercepted and powered a shot past the keeper. well what a game yesterday & definitely not for the faint hearted. Bundoora came to Kensington as 2nd favourites to take the league and went home knowing it won't be that easy. 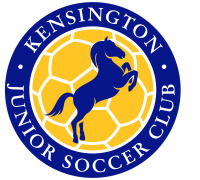 Kensington U16s have been playing some great football recently and picking up points along the way. Yesterday Georgie won the toss and kicked with the wind. It was a perfect start to an exciting match. In the 3rd minute, it was clear the team's run of good form would continue. Winning possession from the kickoff and playing the ball around nicely in midfield led to an exchange of passes between Georgie and Tarn who then fed the ball to Simone who timed her run into the box perfectly. 1-0 to Kensington and Bundoora had hardly seen the ball. The Kensington pressure continued well into the half with more chances being created. No change at the break. Bundoora came out fighting in the 2nd half and the kensington defence stood firm as it has done so well in the second part of the season. Forced into s speculative long range shooting Bundoora breached the defence from outside the box. 1-1 and Bundoora was fired up. Kensington withstood the visitors' resurgent efforts to come away with appoint. Another great result from a solid team effort by the girls. 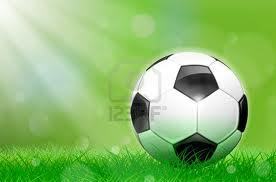 There are two games left and solid competition for playing time so I encourage players to get to training next week. Once again congratulations to all, both players and parents alike.